Drafting Service for Your Residential Addition or New Home. When adding home improvements, homeowners often have several questions about residential drafting service and building permits. If you are thinking about remodeling your home or about building a new house, you’ve probably asked the question that many homeowners are curious to know when faced with home construction projects. That question is can they get what they need and save some money with a drafting service only or will they need an architect or engineer? And for most homeowner-focused projects the answer is yes, a draftsman can give you the service you need and save you money. I would say 90% of the projects a typical homeowner considers can be handled just fine with an experienced draftsman. I Specialize in Residential Design & Drafting Service on Oahu. This began as a part-time service that I started decades ago and over time, I got more serious about it. Since 2005, I have over 120 projects completed that add up to more than 225,000 SF of designed area equaling over $22,000,000 in construction value. This success gives me the experience you’re looking for to get your project done on time and under budget. I’m confident that with close to 30 years experience providing drafting services to owner-builders just like you, I can help you get the design you want and the building permit you need to move forward with your own project. When you are ready to get started with your own design let’s talk and see if you and I are a good fit. If you are looking for drafting or design of your new home, addition, renovation, ADU, kitchen, garage/carport, lanai, retaining wall, or fence, I’ve done them all and I can do them quickly! I’m looking to build a unattached patio that is 32′ x 16′. I’m looking to build it myself, but need help with the design plans and building permits. How much would something like this cost. Aloha Michael, I replied to your email… I offer a complementary site visit and will provide an estimate for you there. Have you ever drafted a tiny house ? No I haven’t. I focus on my niche of single family homes and additions. A tiny house might be fun but I’ve never had a request for designing one. I’m looking for a renovation on my home in lower Wilhelmina Rise. Please contact me on via email address. Hi Jill, I sent you an email some time ago. If you’re still looking for help with your project please LMK. My family and I would like to extend our living area (encompass the lanai) and move the kitchen in the future. Please contact us via e-mail to discuss. Hi Terry, thanks for the inquiry, I’ll contact you today. One of the most complete services on design and building available in O’ahu, I remember many people getting great help from you back in 2008 when I was living there, it’s great to see you are back in business Jim! Aloha! Hi. Your Pinterest page shows a beautiful design with a Greek name attached to it. Was this your design? I’m not sure where that is Maggie. It’s not my design but I do enjoy looking at all the creative ideas on Pinterest for inspiration. Very professional service. Very knowledgeable person. Great value for the price. Great advise too. Hi. We live in Maunawili and are generally considering expanding the home at some point in the future. However, there are a number of different ways we might do that. We also would be looking to contract most of it ourselves as owner-builders and keep the cost per sq ft as low as possible. I don’t want to imply that we are going ahead immediately, but I’m also not kidding that we’ll eventually do something. If you’d like to be in email touch, drop us a note. Thanks DJ, that’s a smooth time line, lol. I just bought a condo at Windward Harbour on Kailua and need drawings to add a split AC unit. Do you do these type of drawings or can you refer me to someone who does? Hi Vandra, for a specialized mechanical installation like this most of the a/c contractors have their own permit processing set up. It’s not something I do. What is cost of design, plan and material list? Hi Joseph, I would need much more information in order to answer that question. You can call me if you want to discuss. We are looking to renovate our kitchen and extend living space encompassing the kitchen. Also desiring open concept floorplan. Would like to have a site visit and discuss our options. We are in Hawaii Kai. Hi Trudy, call me when you get a chance so we can set up a time to meet. Having the door to the toilet cubicle open IN is a hazard. A friend passed out in one like that; her husband had to practically demolish the door to get her out. Sounds like a terrible experience Shirley. Do you also do drafting services for Maui? Hi Andrea, I have worked on a couple Maui and Big Island projects but I do it on a case by case basis so I’d need more information about the project before I can say yes or no. Please call me and we can talk about it. Jim, I am in escrow on a place in Waialua and would like to build an ADU and remodel the interior. I would love to talk to you and see what your thoughts are on how to tackle the project. Hi Ted, thanks for your patience. It was great talking to you today about your project. I look forward to hearing from you in a couple weeks. Hi Mike, please call. I need more info before providing a bid. My mom just bought this studio from a foreclosure auction and she wants to remodel it then rent it out to some long-term renters. Do you know where she can get the blueprints (or at least a copy of the blueprints) of the studio? The Honolulu Department of Permitting and Planning has some files on record, you would need to contact the data branch. They are very helpful but not all existing plans are on file. Hello, looking to get a price on a 35′ by 22′ dwelling unit with a garage below. I was able to draft up a little plan idea on revit but I will need much more expertise to help push plans through and permitting. We will build this ourself, we just need plans. If you could help with an estimate, that will be great. Please contact through email. We are looking to remove and add a wall in our home, but aren’t sure if it is a load bearing wall. We also need help with the permitting process. Could we please request a quote from you? We are a fencing company in Mapunapuna. The majority of the jobs we do are less than $5,000 in value. Do you accept those kinds of draft and permit jobs? When you accept to do it, what kind of stuff do we need to provide you with? 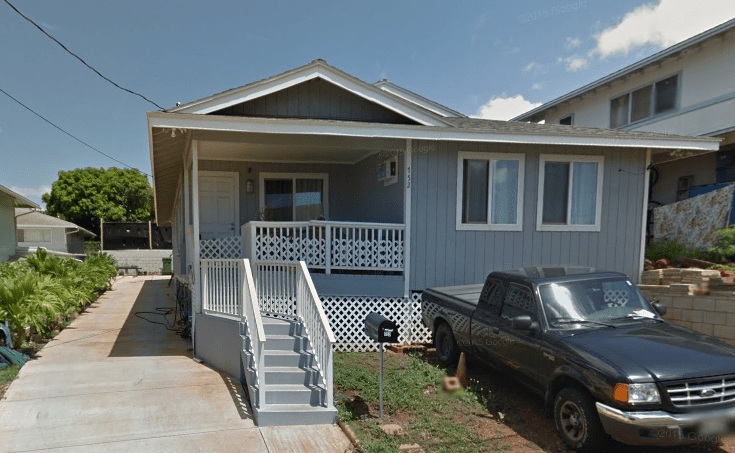 I am looking to have design plans made for a open patio/lanai being added to my house and enclosing the carport in village park (kunia) Waipahu, along with getting the permit. what would be the estimate for your service for drafting and permitting? my house living space is approx 1082 sq ft. the open patio I want to add is approximately 13’X13′. Hi Richard, I sent you an email. Hi, we own a townhouse in Kaneohe and want to replace all existing jalousies with awning windows and new sliding doors. Our AOAO is requiring us to submit plans and a permit before we can begin renovation. This is all new to us so we’re not sure exactly how to begin. What kind of information do you need to get an estimate of how much this will cost? I am interested in getting help with drafting and permitting to enclose a 20′ x 17′ carport as an ADU. Could you tell me an approximate price range for that? Hi Jim, I found you on Yelp and hear good things about you and your service. There are a few things I needed a draftsman for at my Kahaluu home. I wanted to add an attached screened patio to my existing home, off to the side of that I wanted to add a pavilion like roofed area for outdoor grilling and cooking area and last I wanted to add a rental unit on my property which is zoned R-10 on 31,000sq.ft. lot. 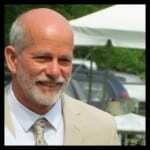 Would like to meet for ideas and estimate for your services.